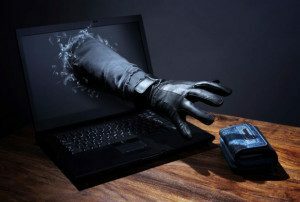 According to Systematic, 2016 has been designated as the 'Year of Ransomware' due to the enormous growth in ransom thieving. With no sign of this stopping anytime soon, companies must look at how to protect their most valuable asset, their data. Until now, Ransomware has seen an increase of 500% from the previous year. With the new year right around the corner, we must stop ourselves and think, what is to come in 2017? At Micro Doctor IT, we have a secret weapon. MDI Cloudcare, which is our proprietary software agent that prevents your employees from accidently clicking on a bad link, opening an attachment or inviting an attack into your network. Today's hackers know firewalls, data encryption, virus scanners and other network protection systems have become more difficult to crack. That's why they're relying more on the human error to get into your company. Hackers are targeting an unsuspecting employee to respond through clicking on a link; either through an email or while browsing legitimate websites. Ransomware is a growing multi-million dollar industry that is using your innocent employees to infiltrate your network by sending very deceptively crafted emails that look legitimate in an attempt to get 1 employee to click on the attachment or link. Symantec also recently released a study the if a phishing attempt is sent to just 10 employees there is a 90% chance that one of them will click on it. As the number of employees grows the odds that one of you employees attached to your server will click on that link. Better employee training? Sure that will help, but can all your employee’s be trained at once? What about the summer intern or the remote workers, when do they get trained? Studies also show that if the email is especially well crafted and targeted and uses some inside information like sending the email from a website you just purchased something from (Zappos.com, Walmart, Amazon, Netflix, etc.) and a UPS email with a link to your tracking info pops up, so obviously, most people don't think twice about that. The new term “Spear Phishing” is being used for these new level of deceptive emails. Just like fisherman target a fish and throw a spear directly at it, hackers are targeting your employees and what they do online, and "throwing a spear" at them with a faulty email. How do they do this? With all the information available in your browsing history, Facebook posts and cookies (read more about cookies here), the hackers can use personal information in the spear phishing attempts to raise the click rate much higher that 10%. So what to you do? Get your secret weapon! We install MDI Cloudcare on every PC and make a slight adjustment in your firewall and immediately your employees are protected from clicking on a link or from opening an attachment. How? MDI Cloudcare blocks the encryption channels, signatures and destination IP. If you don’t know how to protect yourself align yourself with an IT firm that has the experience and best practices to protect you from Ransomware. We are running a special offer for any company in northeast Ohio or Western Pennsylvania to have one of our IT specialists come in and present an employee training class on how to protect your company from these threats. The class is completely free if schedule before the end of the year and can be a 30 or 60-minute presentation with Q&A for all your employees. Contact Info@microdoctor.com for more info or call 330-984-0154 for urgent requests.